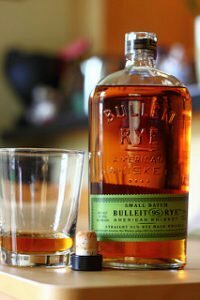 Bourbon and Water has been around since the beginning of Bourbon Whisky, going all the way back to the early 1800′s. You can imagine those initial high proof spirits may have needed a little watering down to be a bit more palatable for those with more sensitive tastes. Adding a splash of water doesn’t just water down the drink, but also ‘opens up’ the spirit. Some people like a bit of ice whiskey to slowly change the profile of the sipping beverage with time. Other individuals prefer a side of water to fix the dilution factor for a consistent experience. Just so everyone knows the history of Bourbon, its a type of American whiskey. A distilled spirit made primarily from corn. The name of the spirit derives from its historical association with an area known as Old Bourbon, around what is now Bourbon County, Kentucky (which, in turn, got its name from the French House of Bourbon royal family). It has been produced since the 18th century. While it may be made anywhere in the United States, it is strongly associated with Kentucky. The bourbon produced in Tennessee is typically referred to as Tennessee whiskey rather than as bourbon. A bourbon and water is a tasty sipping beverage. Try a couple ounces of whiskey in a short glass, and add just a little water. If you like some peat in your whisky, a Scotch & Soda is a wonderful way to enjoy a good Scotch in a mixed drink without disguising it’s flavour. 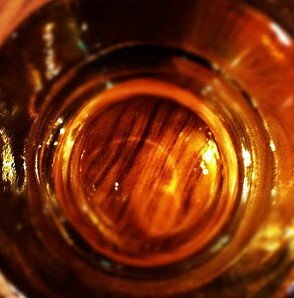 Some people like to add a little apple juice to their Scotch. Those same people aren’t as picky about their whisky and are happy with a simple blended version such as Whyte and Mackay or Grants. Grab a cheap bottle and experiment a little. The expensive bottles of Scotch or Bourbon should only be savoured with water, or soda, and on the side.